Pukka, the star of Pukka’s Promise: The Quest For Longer-Lived Dogs, is looking for a mate—a dark yellow or fox-red Labrador Retriever like himself, who has completed all her health certifications and has a calm temperament and athletic personality—so that she and Pukka can pass on their fine genetic legacy. 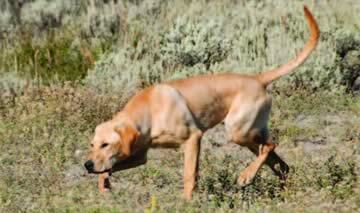 Born in Essig, Minnesota, Pukka comes from a long line of hunting and field trial dogs, including the national field trial champions Dewey’s Drake of Moon Rivers, Ebonstar Lean Mac, and Super Chief. 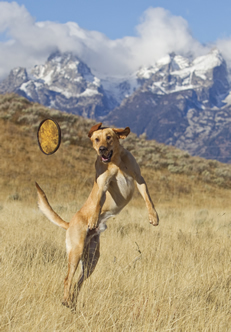 An excellent bird and elk hunter, with a fine nose and tremendous hunting and retrieving drive, Pukka is also a relaxed family dog who lives in Jackson Hole, Wyoming with Ted Kerasote. He comes and goes through his own dog door and is good with children and cats. He likes to hike, mountain bike, ski, and run rivers, and has accompanied Ted on many book tours to big cities. Socialized from an early age to guns, thunder, fireworks, and traffic, he is a steady dog, quick to learn and eager to please. He is curious, tireless, and a good problem solver. 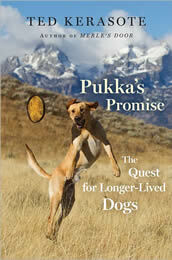 For a detailed look at Pukka’s upbringing and personality, please see Pukka: The Pup After Merle and Pukka’s Promise: The Quest For Longer-Lived Dogs. Interested breeders with suitable females who have passed all their health certifications and are EIC clear please contact Ted Kerasote here. 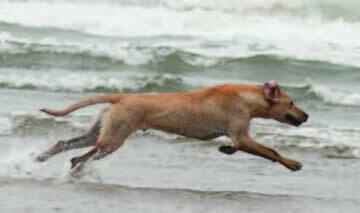 Individuals interested in being placed on a list to buy one of Pukka’s offspring, please reach Ted at the same address.